Muay Thai is an own form of kickboxing and was developed in Thailand hundreds of years ago. 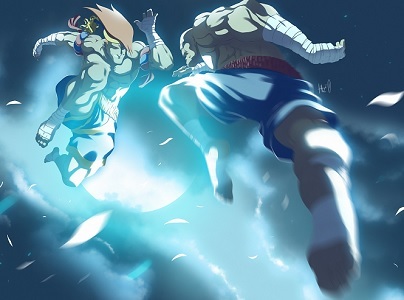 Video Game Characters using the Muay Thai Martial Art can mostly be found in fighting games, with Sagat being the most known one. Today, there are Muay Thai using characters in almost all big hand to hand combat fighting game series ranging from Street Fighter with Sagat and Adon to Joe Higashi, King and Hwa Jai in the Fatal Fury, Art of Fighting and King of Fighters games, Bruce Irvin in Tekken and Brad Burns from Virtua Fighter to name a few of the more known ones.